Ensure that you have prepared everything, both physically and mentally. Do your homework and familiarise yourself with the organisation's core business so that you can show how you are a perfect fit for the job. Arrive early and review your notes before entering the interview room. Dressing well also helps portray a professional image. If you are feeling anxious, take a deep breath. This helps to calm your nerves, so you can regain focus. When you are faced with a tough or tricky question, don't panic. Take a deep breath to compose yourself and channel your thoughts towards finding a good answer. Pay close attention to your posture. Do not lean or slouch on the chair, because it will create a poor impression. Try eliminating any potential source of distractions, such as your mobile phone. Instead of setting it to silent or vibrating mode, it is better to turn it off. Never undermine yourself, be confident about your strengths. 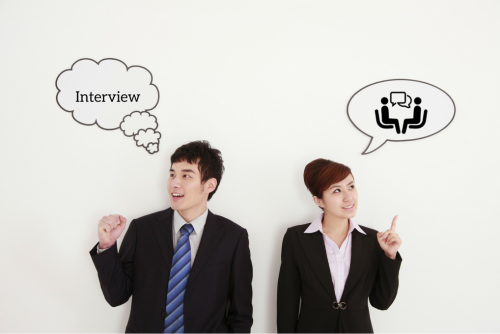 The fact that you've secured an interview means that you have certain qualities that attract the employer. The next thing to do is to prove that they have made the right decision by inviting you. If you are still feeling anxious, try positive visualisation, which means creating desirable outcome images in your mind. It is a mental technique frequently used by top athletes. Prepare well, practise these tips and good luck for your next interview! Read more interview tips here!